Three have today announced their latest dongle, the Huawei E3256. This new dongle has access to the new super fast DC-HSDPA network which supports speeds of up to 42Mb/s. Three already support HSPA+ which allows up to 21Mb/s speeds and hope to have 50% of their network running on the new DC-HSDPA by the end of the year. 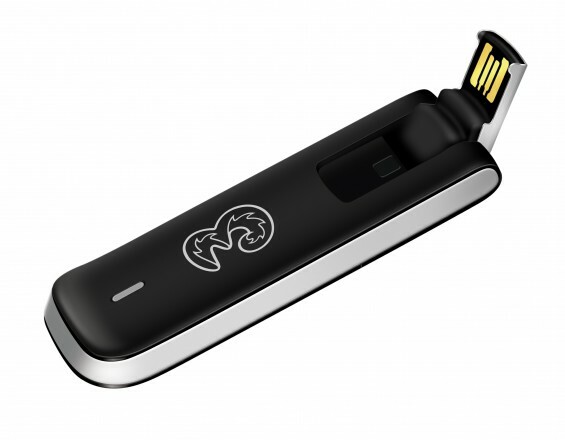 Huawei E3256 ultra fast dongle – available now on Three. The new Huawei E3256 dongle, the most advanced dongle yet, is now available in store and on Three.co.uk. The E3256 is the perfect partner to work on Three’s ultra fast HSPA+42 network, which is being rolled out and is targeted to reach over 50% of the UK by the end of the year. The new dongle with a premium finish and design, features a rotating head with a USB connector which tucks in and swivels out when you need to use it and just like a mini aerial, the dongle can also bend to stand vertically. James Powell, Product and Solutions Director at Huawei Device UK & Ireland, said, “The E3256 shows, again, Huawei’s leadership of the mobile broadband market. Connectivity remains an essential part of the Huawei story and the E3256 demonstrates the same technical excellence and design that have brought our smartphones and home devices such attention. It is a great prospect for customers looking to stream video and other data-hungry content on the move”. The Huawei E3256 is available for a one-off upfront cost of £24.99 on a one-month rolling contract at £15.99 per month for 5 GB of data or from £44.99 on Pay As You Go with 1GB of data.